That journey has led Laurance across the globe and through a myriad of award-winning musical projects. 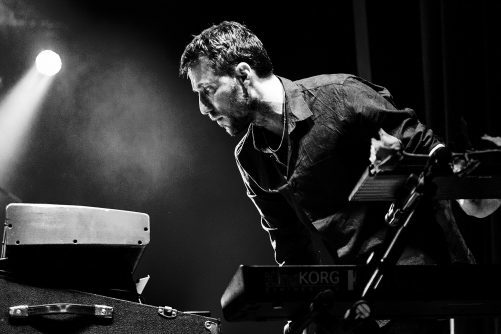 A world-renowned multi-instrumentalist, composer and producer dubbed a “jazz maestro” by The Guardian, Laurance is also known as a founding member of Snarky Puppy, the Grammy-winning collective. Bill’s composition work extends across a wide range of genres, the most recent being his first feature film score ‘Un Traductor’ was nominated for best foreign film at the 2018 Sundance Film Festival. Other collaborations include work with prestigious dance companies (Alvin Ailey, Mathew Bourne and Northern Ballet Theatre). He has performed with an array of musical talents, including David Crosby, Morcheeba, Salif Keita, Bobby McFerrin, Susana Baca and many more. Bill is currently composing three separate commissions for Big Band, Orchestra and Choir. His four albums (Flint, 2014; Swift, 2015; Aftersun, 2016; and Live at Union Chapel, 2016) all hit the top of the UK and US iTunes Jazz charts. His new album ‘Cables’ is an entirely solo recording with Bill playing everything. Centred on Bill’s unique and beautiful piano playing, the album consists of eight brand new genre-defying compositions, embracing electronica and subtle beats and textures and is co-produced by studio wiz Nic Hard.